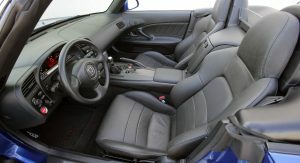 Two seats, drop top, front engine, rear drive, stick shift. 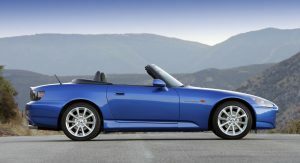 That’s the classic recipe for the roadster – but it’s one that’s increasingly hard to come by these days. 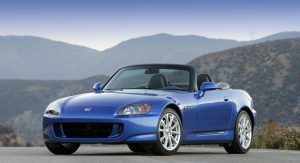 That’s what makes the Honda S2000 such an enticing proposition. Shame it’s been out of production for nearly a decade now. But you can still find some on the second-hand market. And if you want to know just what to look for when buying one, the classic-car gurus at Hagerty have you covered with its latest buyer’s guide. 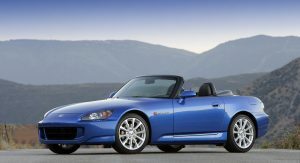 The S2000, for those unfamiliar, was a highly strung roadster produced by Honda between 1999 and 2009. 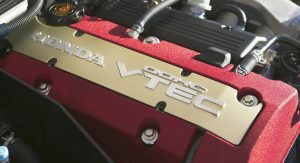 It packed a humble (but high-revving) VTEC four-pot, set back and low inside its nimble little chassis – ahead of the cockpit, but (largely) in between the axles. Like a flyweight 370Z Roadster, or an MX-5 Miata on speed. 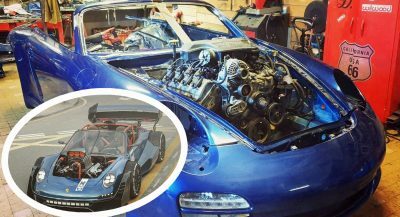 Far from a mass-market vehicle, it was developed by the same people and produced (at least initially) at the same facility as the original NSX, but was far more accessible. 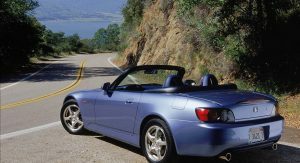 Geared towards enthusiasts, Honda made barely more than 110,000 of them, compared to the million-plus Miatas that Mazda has produced to date. But despite the almost complete lack of creature comforts, the bulk of those – over 66,500 – were sold in the United States. 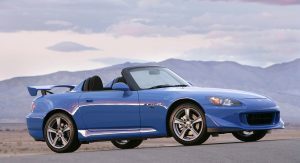 So while you’ll have to look harder – much harder – than you would for an MX-5, finding an S2000 on the open market isn’t impossible. 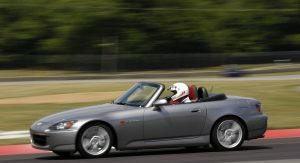 Honda offered three versions of the S2000: the original AP1, the revised AP2, and the Club Racer. They were all essentially the same, but with some revisions made along the way. 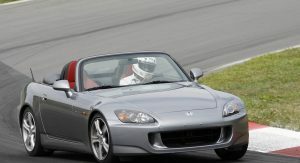 The AP2 lowered the redline and brought more torque and improved drivability (along with some cosmetic enhancements, retuned suspension, and an assortment of other alterations). The CR further tightened up the chassis, added a big rear wing, stripped some weight, and widened the rear tires. 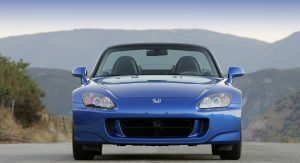 The incremental enhancements are reflected in the marketplace, with Club Racers fetching the highest prices, followed by AP2s, and AP1s. Many have been modified, and some of those modifications can make it an even better car to drive – but the most original examples are the most valuable. 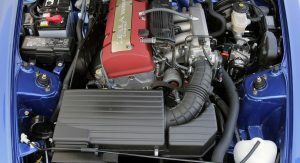 Hagerty also warns to watch out for rust and damage, outlines cost for parts, and the costly prospect of an engine rebuild. 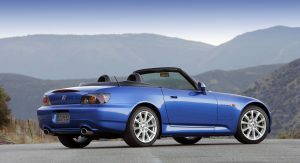 So if you’re in the market for one of the finest roadsters Japan ever produced, you’ll want to delve into all the details. You’ll be glad you did. 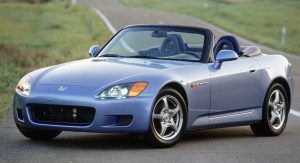 I really wish Honda made more of these for the US market. No one bought them, though – until after Honda discontinued them. Right on the money, what a shame. another example on you don’t know or value the thing you have unless its completely gone. It misses a crucial fact. It is tiny inside. Anyone over 6-feet or who is not a keto-fanatic is seriously going to struggle. I have owned or driven most of the compact roadsters (TT/Z3/Z4/Boxster/Elise etc) and this is smaller even than an MX-5, another car that’s sadly not made for the larger chap. 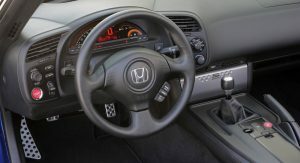 I really liked the idea of the S2000 but the lack of seat adjust and, more crucially the modest steering wheel adjustment, made this a literal non-starter for me. Small exterior dimensions don’t have to translate into a tiny cabin but always seem to in Japan. It is almost exactly the same external dimensions as an E85 Z4 but must be 25% smaller inside. I owned a Z4M and a coupe and it was a perfectly sized cabin. Not sure I understand your point MS. Are you saying the RX7 is larger or smaller? And isn’t it from an entirely different era? I thought the Gen1 RX7 was at least 10 years before this? I’m wouldn’t say the MX5 is smaller but that’s subjective depending on how one is proportioned – both cars significantly lack steering wheel adjustment as well as overall space so it’s not like one is preferable over the other. I still don’t get how a car this size can be so small inside though when others of similar dimensions are not. Where did I say Tinny – I must have missed that. Cramped obviously depends on individual size and I found it cramped for ME. You can’t tell ME it isn’t cramped FOR ME because it is. I can’t get my legs under the steering wheel and can’t lift my foot off the clutch to change gear. I can in a Z4 of the same era which is almost exactly the same length and width. By my definition it’s small inside FOR ME and IN ACTUAL FACT too if I can fit in one but not the other. Jesus, dude chill the fluff out. 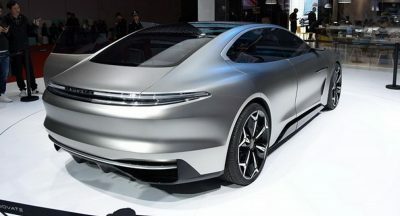 too bad you are a minority and cant enjoy this car, get the gemran counterpart and get wind in your face experience that way. I wasn’t the one telling you that you were wrong. That was you telling me I was. Enjoy your shitbox Hondas and Mazdas. loose some weight and then perhaps you’ll fit in like millions of others. and no need to be a d*ckhead BMW owner. have a good one. 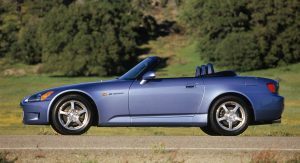 Just under 6′-3, more legs and arms than torso, and I slip right in to my AP1. In fact, I keep the driver’s seat one “click” forward to more comfortably engage the clutch. I did add ~1/2 inch spacers (and longer bolts) beneath the front corners of my seat to improve thigh support. It’s a spartan interior to be sure, but it’s my daily driver and my track car, too. Wouldn’t trade it for the world. Just don’t buy one. It is much slower than you think. Also, no one is telling you this, but engines have a bi failure rate, they are very sensitive to oil starvation. Also the car is absolutely horrible to drive in wet, specially the first generation. Very very noisy, and I mean road noise, not the engine. All round a interesting car, but not what you expect at all. I tried both generations and I was disappointed. 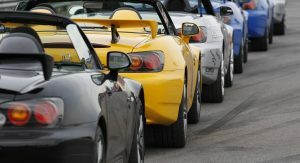 Same price and generation, a Boxster S or a CLK,,,much much better cars. Agree both are better cars (from the couple of people I know who had them) as are the six cylinder Z4s. What is their failure rate? What exactly fails? The F20C is a very strong unit. The valve retainers are the biggest weakpoint and very easy to change out. Anyone taking ANY car on the track should use heavier weight oil. 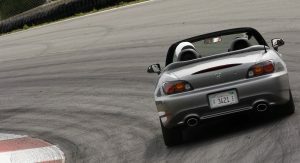 The S2000 is torqueless, but it’s not slow (at least to me). Untrue. 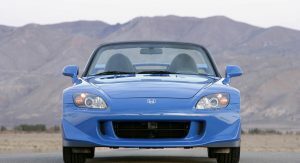 The S2k engines have a reputation for being “bulletproof”. The oil starvation issue was addressed in late MY02. 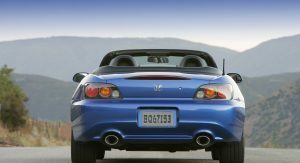 The AP1 suspension is subject to snap oversteer, but proper tire selection and inflation, plus an aftermarket front swaybar, are easy and effective fixes. As for corrosion problems with the wishbones, that’s simply untrue. 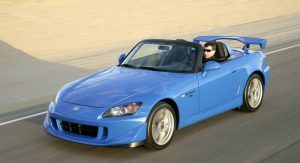 And if you want to argue expense, the documented 10 year cost-of-ownership for the Zed3 or 4 OR the Boxster is 3 times that of an S2k. These were not easy or even fun cars to drive. Once I moved to BMW, Audi and Porsche I realized what I was missing. I would tell anyone to get a Boxster over this car any day of the week. Especially a 2005 Boxster.